The buzz in the marketing world over the past couple weeks has been about the new Gap logo. In case you were living under a rock this past week, here’s the story. 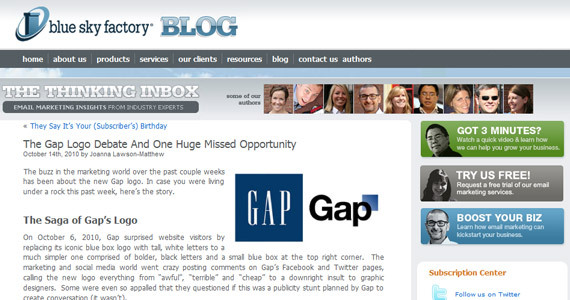 On October 6, 2010, Gap surprised website visitors by replacing its iconic blue box logo with tall, white letters to a much simpler one comprised of bolder, black letters and a small blue box at the top right corner. The marketing and social media world went crazy posting comments on Gap’s Facebook and Twitter pages, calling the new logo everything from “awful”, “terrible” and “cheap” to a downright insult to graphic designers. Some were even so appalled that they questioned if this was a publicity stunt planned by Gap to create conversation (it wasn’t). So, after a week of listening to the public outcries of their customers and fans, Gap announced on October 11, 2010 that they were reverting back to their old logo. Gap executives have stated that they’ve “learned a lot in this process” and that they realize they “missed the opportunity to engage with the online community”. I think this is a huge lesson for all companies. Companies are now encouraged to create Facebook and Twitter pages as a way to disseminate information to their customers and fans. 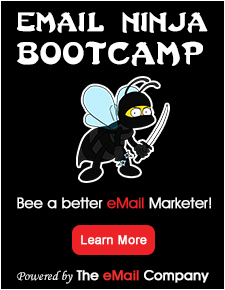 But it’s important to remember that by having these pages, you’re opening up a forum and inviting your customers and fans to communicate back to you and with their peers. This type of open forum means that your customers and fans are now much more engaged with your company and brand, and feel they are now invited to openly voice their opinion, whether positive or negative. It’s important that companies welcome this change and use it to their advantage! Just think if Gap had asked their fans and followers on Facebook and Twitter to vote on the new logo they liked best before making a final decision. Their loyal customers would have loved that opportunity, and I think the Gap executives would have found the feedback to be invaluable. Sure, it’s scary to put your fate in the hands of others, but in the world of social media, customers and fans are so much more involved than they used to be. Companies should embrace that and learn to encourage conversation amongst their fans and followers!